Likened to a ‘Duke of Edinburgh Award in Science‘, these awards are certified by the British Science Association for scientific projects that students do outside of their normal school work. This gives the students an opportunity to develop original research ideas and interact with real scientists, a fantastic and inspiring opportunity. 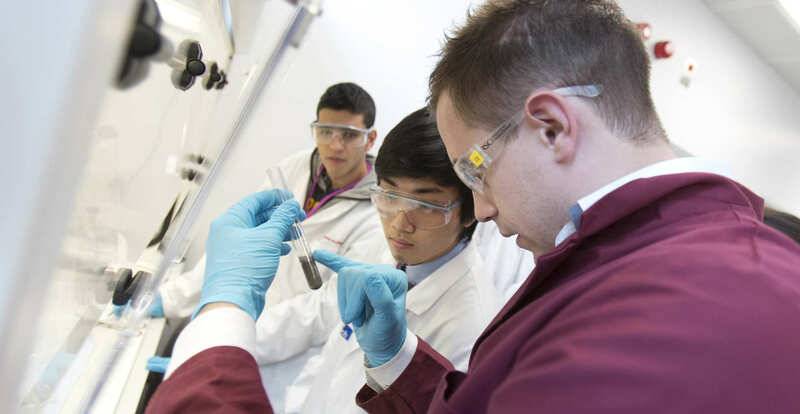 Groups of new students from all over London would like to undertake CREST Awards, but are in need of scientific mentors from Imperial College. Each mentor will be assigned a group of around four pupils aged 16-18 that have an interest in their field of science (if you have a colleague that you would like to work together with, that is also fine). Your role will be to help pupils generate a research project, discuss and shape their ideas, help them assign different roles for team members, advise them about scientific process (hypothesis/aims/research/ experiments or data collection/ analysis/ reporting and presentation) and help them design appropriate approaches to address their research question. To participate in this scheme is also good for your ‘outreach experience’ which is very important for future grant and job applications. With our support, maintain contact with the group and their teacher, respond to specific queries where possible between the first meeting and when they decide on their final project. The students will then be examined for a CREST Award by the British Science Association. Can you inspire these young scientists? If you are interested or would like further details please contact us directly by email Cecilia Johansson (c.johansson@imperial.ac.uk) or Simon Foster (ssfoster@ic.ac.uk) with four to six keywords that best fit the subject areas where you would be interested in mentoring a project.